- Formats ЁC The original file was created in 3ds Max 2014 with V-Ray materials(2.0 and above). You will also get an OBJ, 3DS . If you need any other format please inquire via 3Docean. All preview images were rendered with V-Ray. You will get only the chess and not the scenes used for the preview renders. Product is ready to render out-of-the-box. Please note that the lights, cameras, and any background not described above objects are not included in the product. The model is clean and alone in the provided files, centred at origin and has real-world scale. Animated: No; Low-poly: No; Materials: Yes; Rigged: No; Textured: Yes; UV Layout: No; 3D File Formats Included: .3ds (multi format), .max (3ds Max), .obj (multi format); Created In: 3ds max 2014; Geometry: Polygons; Poly Count: 754, 377. Aquarium; Edison Light; NCZ_01; Led Spot; Snowman; Modern Bed; Wood Car. 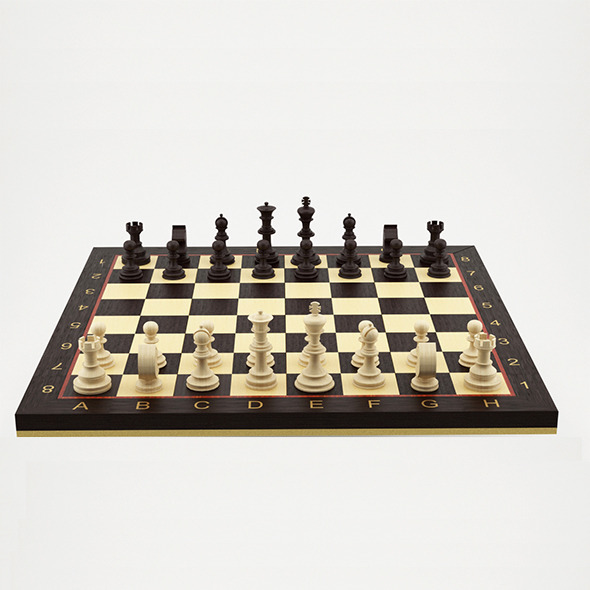 Keywords: chess, deco objects, game, high-poly, interior design, wood.